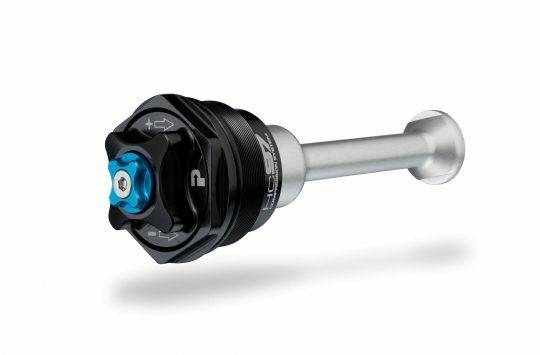 Following on from last year’s Deluxe and Super Deluxe rear shocks, Rockshox has unveiled updates to its air shock line-up along with a whole new range of coil shocks. 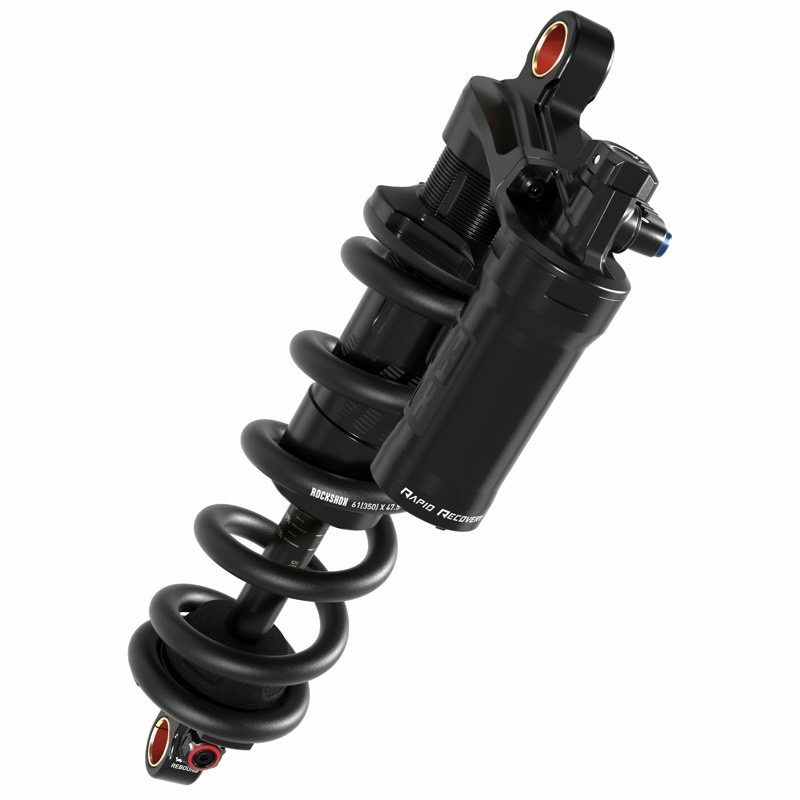 The Super Deluxe Coil shocks have been designed to suit all types of riding. Everything from World Cup Downhill racing all the way to trail riding and everything else in between covered is, and an all new design means these shocks aren’t just for gravity racing anymore. 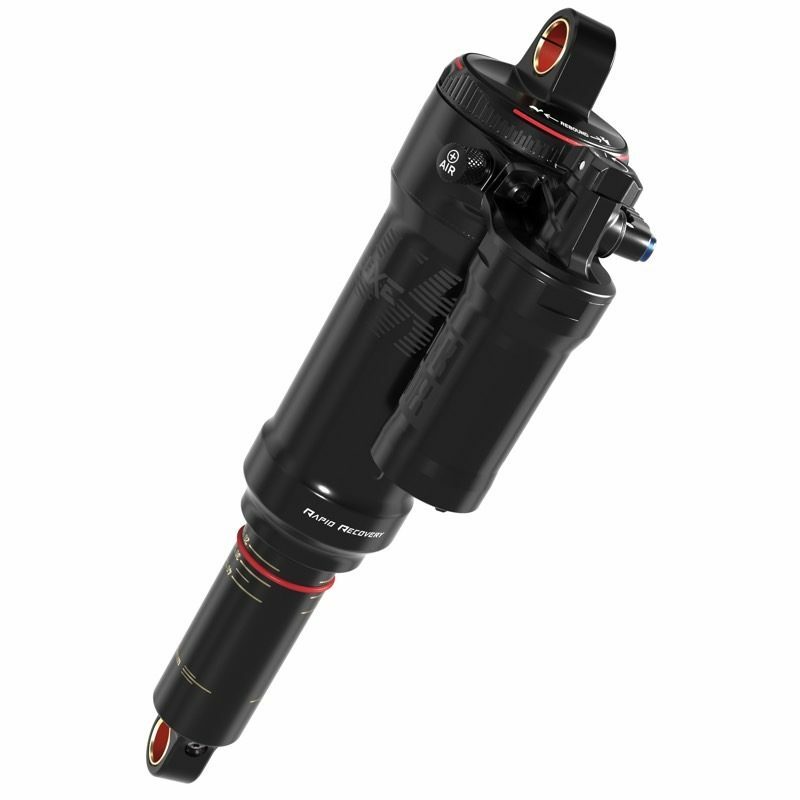 The Rockshox Super Deluxe coil range is made up of four shocks starting with the Super Deluxe Coil R, the ‘R’ standing for rebound control which is adjusted an external knob. 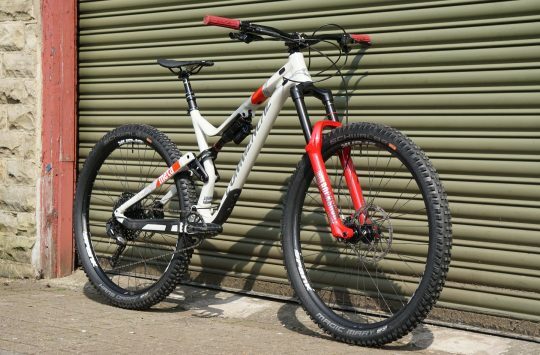 The Deluxe Coil R is meant to be the Metric replacement to the Kage and is aimed at trail, enduro and gravity riders. The RCT comes with rebound, compression and lockout switch. Next up the range is the Super Deluxe Coil RCT with external rebound and compression settings plus a 2 position ‘Threshold’ adjustment (basically a switch to run the shock open or closed). 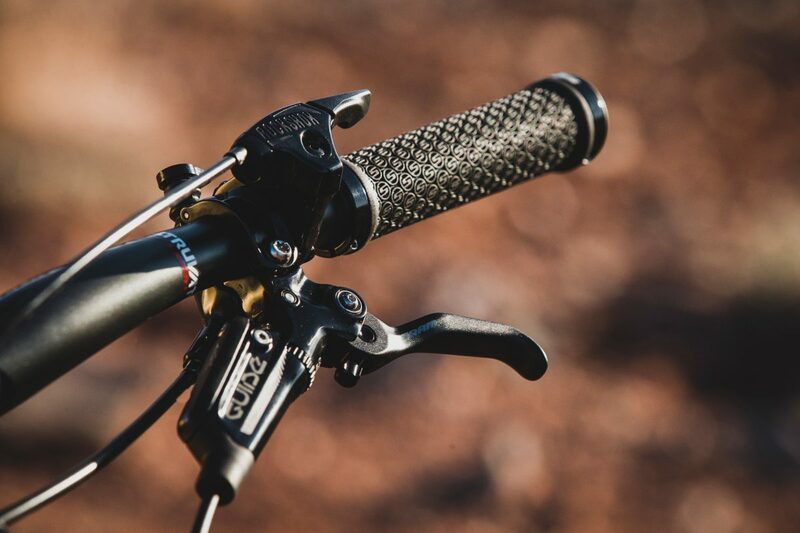 The Super Deluxe RT Remote builds on the RCT’s features with the addition of a cable operated OneLoc remote for handlebar lockout control when riding up fireroads or to and from the trail. Sitting at the top of the tree, is the Super Deluxe Coil RC World Cup with rebound, compression and low-speed compression settings that are all externally adjustable.The WC is billed as the metric replacement to the Vivid and get’s a stealthy graphics pack. All versions of the new Rockshox coil shock come with steel springs with after markets springs available in 50 lbs increments from 350-650 depending on length. To allow the new range to work with as many different suspension systems on the market various hardware mounting options are available and each Super Deluxe Coil will be compatible with trunion mounts, bearing mounts and standard DU bushings, plus they are all native metric designs. We think the greatest feature though are the printed on Sag Gradient markings on the shock shaft. This is one of those “Why didn’t they do this on coil shocks before?” features. 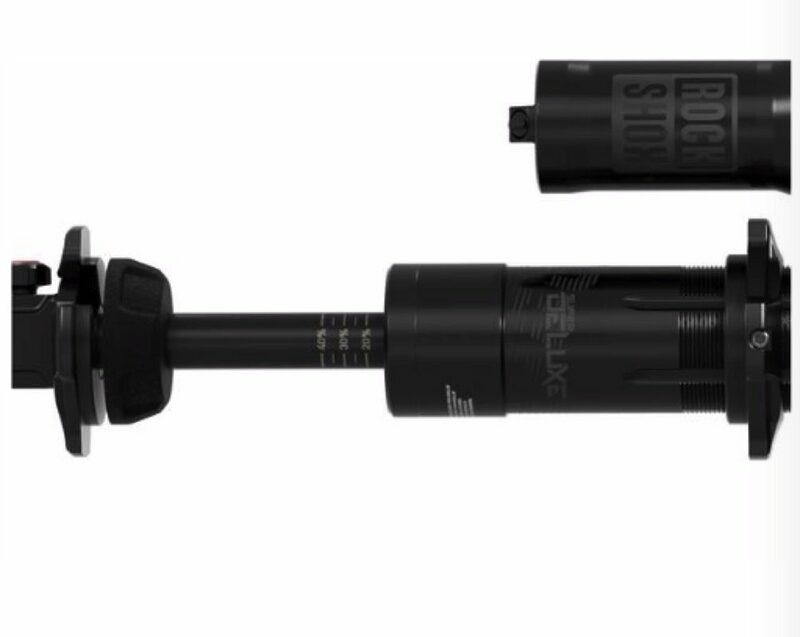 At this point, Rockshox has only announced that the new Super Deluxe Coil range will be available as OEM items but have stated that selected aftermarket options will be announced at a later date. While coil shocks do have their benefits, they can’t really compete with the weight and ease of tunability of an air shock. luckily the new MY18 Rockshock Super Deluxe Air shocks haven’t been left out of the upgrade cycle. New to the range is the new Super Deluxe RCT, Deluxe RT Remote and Super Deluxe RC World Cup. These air shocks come with the same features as their coilover brothers, including a native metric design and mounting options. The new air shocks also come with a rather neat rebound adjustment at the very top of the shock too. Super Deluxe R and RC3 see new stealth graphics while the Deluxe R also comes in additional stroke lengths up to 75mm. Again all Super Deluxe Air shocks are OEM at the time of writing but Rockshox does plan to launch a few as aftermarket options at a later date. Last but not least is the new Rockshox Deluxe RL which now has a remote option and comes in metric sizing. The air shock also has external rebound control and all models in the Deluxe range come with updated stealth graphics for a cleaner, factory look. Plenty of new suspension options for you to take in there, but is there enough to have you consider the move from air to coil? So all only available in metric sizing? 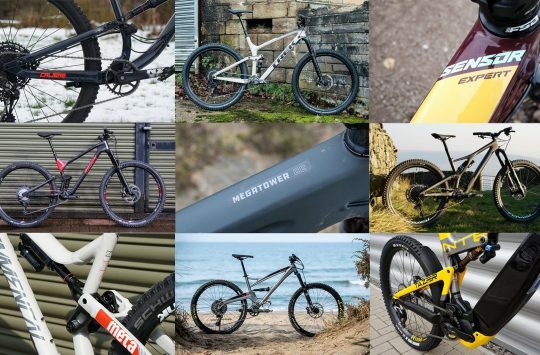 Leaving 99% of bikes incompatible. Hmm. They’re OEM only at the moment, so they’ll fit all the bikes that come with them fitted.